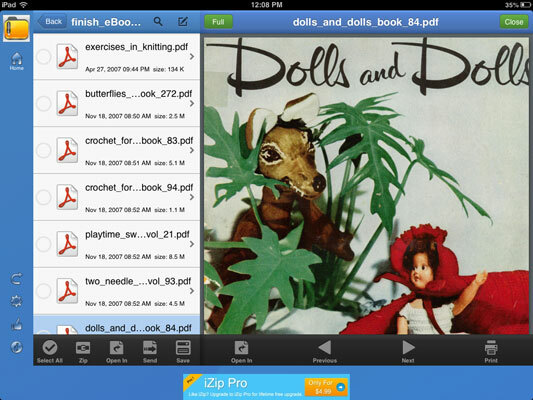 To begin, you'll need to download a couple of free apps from the iTunes store. 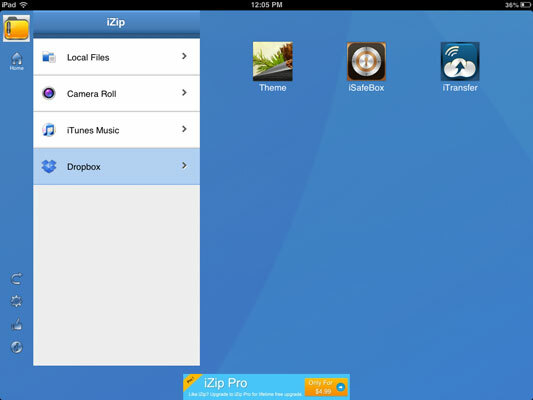 Dropbox will give your zip folder a place to reside. iZip will extract the pdf files from the zip folder. 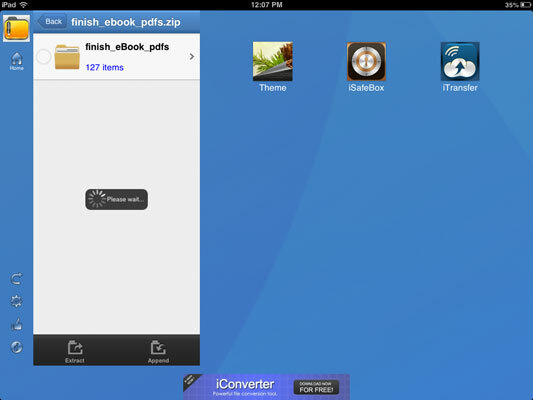 iBooks is an easy way to read the extracted pdf files. Once you have all of your apps downloaded and installed on your iPad, go to the download page and double click on the download link. 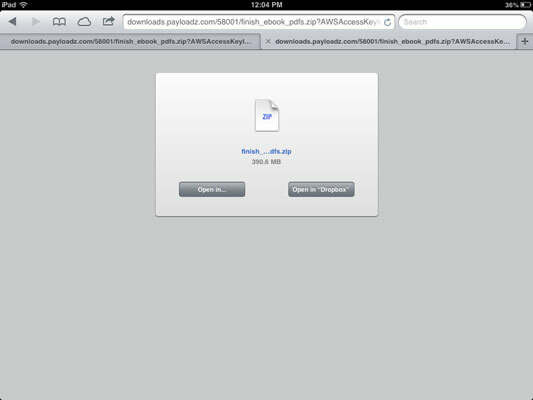 It will take a few minutes for the iPad to come up with a pop up. 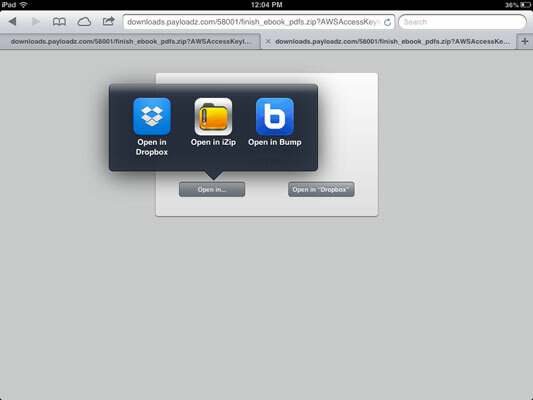 Select "Open in Dropbox" to upload the zip folder to Dropbox. Depending on your Internet connection, it will take some time for this zip folder to upload to Dropbox since it is so large (it took me 20 minutes). You will be able to watch the progress so you will know when the upload is complete. 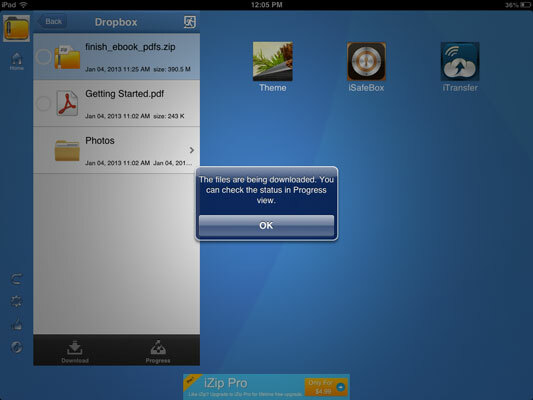 Once your upload to Dropbox is complete, close out of that app and open the iZip app. 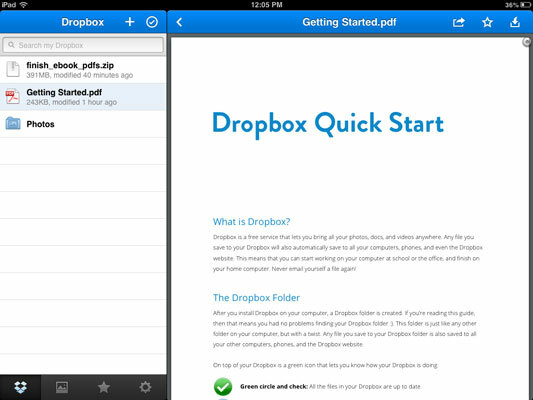 Select Dropbox from the menu, then select the zip folder from the available files and download. You will be able to watch the progress of this download. 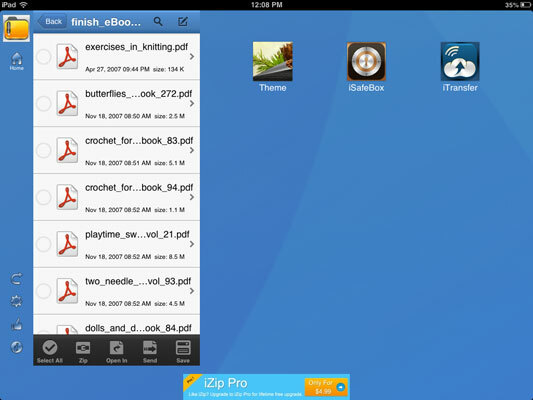 Once completely downloaded, use the back button and then select Local Files from the menu. You'll see that the zip file is now there. Select it and you'll get a pop up asking if you would like to extract all files. Select OK.
Once file extraction is complete, use the back button and you'll see the extracted folder as an available choice. 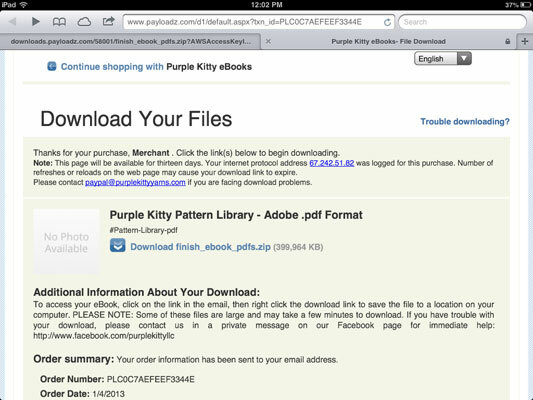 Open that and all pdf files will be available to choose. To view a pdf, select one. You can read through it in iZip or you can open it up in another app by selecting "Open In." 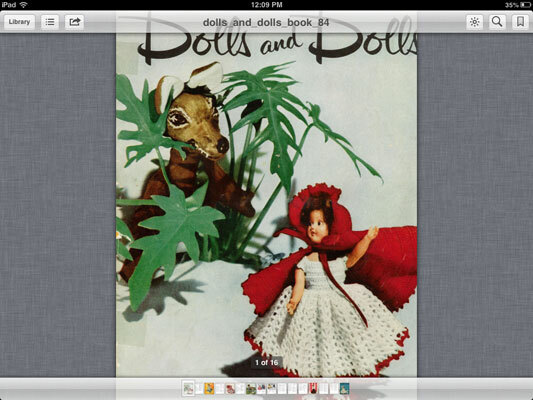 I prefer to read my eBooks on the iPad using iBooks. 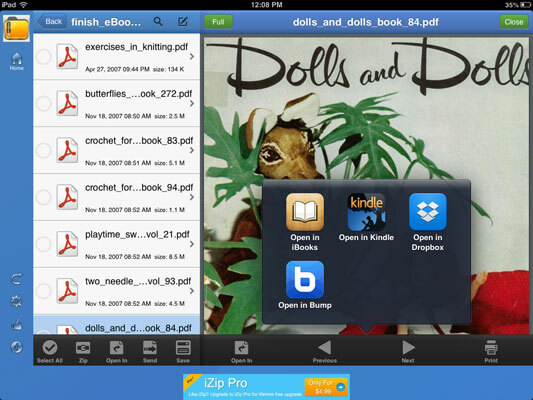 If you select iBooks, the eBook will automatically open up in that app for you. That's it! Nothing left to do now but enjoy your new downloads!